We have very little information about Anne Hathaway, wife of William Shakespeare. Her actual date of birth is unknown but reference to her tombstone gives her first name as Anne, and her age as sixty-seven in 1623. She grew up in Shottery, a small village just to the west of Stratford-upon-Avon, Warwickshire, England. She is assumed to have grown up in the farmhouse that was the Hathaway family home, which is located at Shottery and is now a major tourist attraction for the village. Anne Hathaway was the eldest of the eight children of the twice-married Richard Hathaway. His first three children, including Anne Hathaway, were by his first wife. His second wife was called Joan with whom he is thought to have had a further five children. Few facts are known about her early life but it can be safely assumed that she never attended any school and was illiterate. Her father, Richard Hathaway, was a yeoman farmer. He left Anne the sum of £6 13s 4d (six pounds, thirteen shillings and fourpence) to be paid “at the day of her marriage”. 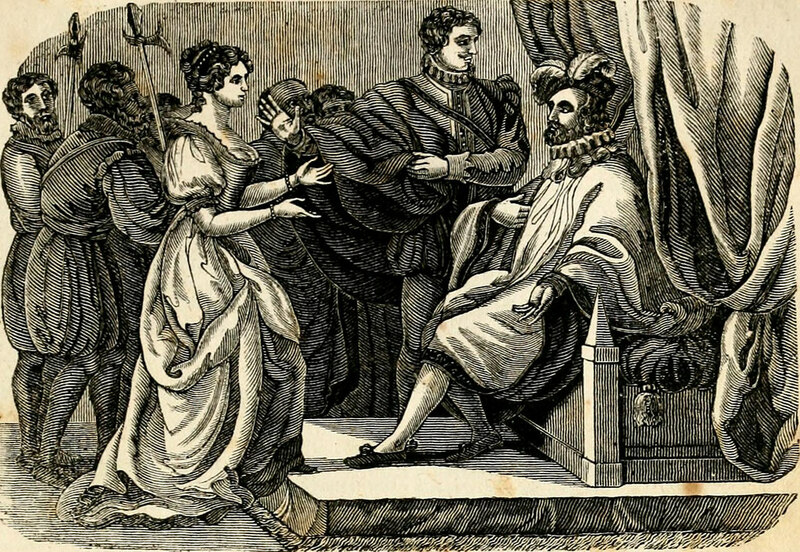 According to some sources William Shakespeare and Anne Hathaway were granted a marriage licence by the Bishop of Worcester. They were married at Temple Grafton, a village approximately five miles (8 km) from Stratford. They got married in the year 1582 and she was already pregnant at the time of her marriage. She was eight years elder to Shakespeare and also outlived Shakespeare by seven years. 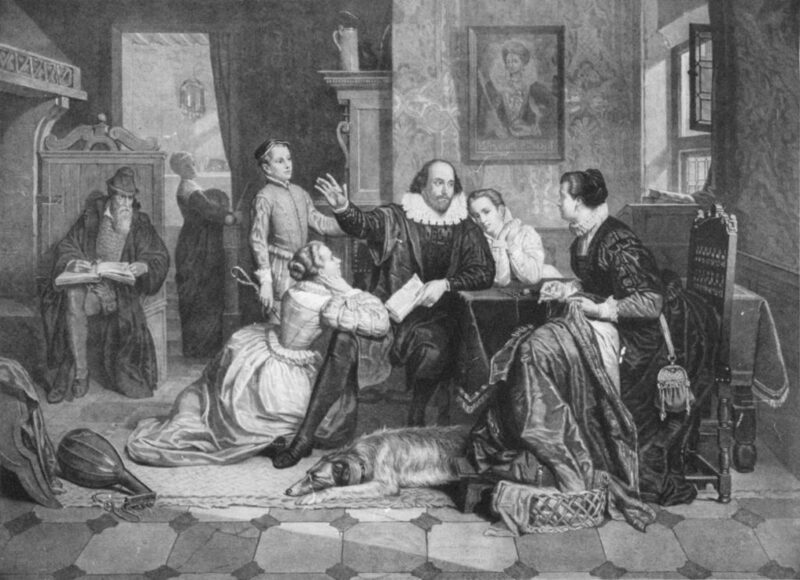 Shakespeare and Anne had three children namely Susanna in 1583 and the twins Hamnet and Judith in 1585. In 1596 August, Hamnet died at the age of just eleven years. There is no documentation which records the cause of Hamnet’s death but it is highly likely that he died of the plague, which had wreaked so much devastation in London 6 months before. Hamnet was buried in Stratford. Anne’s daughter Susanna got married to Dr. John Hall and gave birth to a girl named Elizabeth Hall. The last years of Anne’s life were spent living as a widow at New Place in Stratford. In November 1616 her daughter Judith Quiney gave birth to a son and named him Shakespeare Quiney in memory of her dead father, William Shakespeare. The happiness that the baby gave to Anne and the family was short lived as Shakespeare Quiney died at just six months old. Anne lived to see the birth of two more grandchildren when Judith gave birth to Richard Quiney in 1617 and Thomas Quiney two years later in 1619. Anne Hathaway, wife of the great Bard, died in 1623 at the age of sixty-seven. Her funeral was on August 6, 1623 and she was buried next to William Shakespeare in the chancel of Holy Trinity Church in Stratford.